Asmodee Digital has made some big updates to their Steam release schedules. Not only do we have new dates for some of their delayed titles, but we also know of some new ones, including Munchkin and Gloom. Asmodee Digital is the video game distribution arm of Asmodee Group, one of the leading publishers and distributors of board and card games. They handle publishing and development of board and card games across Europe, China, and North America. Now, Asmoee Digital, which has given us ports of games like the two player Cold War simulator Twilight Struggle, the railway-builder Ticket to Ride, and the revised fourth edition of the fantasy board game Talisman, has updated their Steam release schedule, giving us some information on their new products. An adaptation of The Lord of the Rings: Living Card Game, a co-op game with a narrative campaign. It will launch into Early Access August 28. A port of Jacob Fryxelius’ popular board game Terraforming Mars. Players compete as corporations trying to seed forests, alter the atmosphere, and fill lakes on the red planet. A port of Matt Leacock’s classic board game Pandemic. Players cooperate to fight diseases around the world. A port of Emiliano Sciarra’s social deduction classic Bang!. A game for the Werewolf and Town of Salem crowd, it’s a Western-themed game about shooting the right people and convincing your friends to shoot each other. A port of Keith Baker’s classic Gothic card game Gloom. Players compete to make their families as miserable as possible before killing them off while trying to make their opponent’s families live happy lives. It’s scheduled to release on Halloween, fittingly. Five Tribes, Bruno Cathala’s twist on the Worker Management genre of board games. The pieces (known as ‘meeples’) are already in place at the start of the game, and players have to maneuver them onto certain spaces to gain benefits. Mansions of Madness: Mother’s Embrace will be on Steam sometime Q1 2019. It’s based off of Fantasy Flight Games’ nonstandard Lovecraftian dungeon crawler. Finally, an adaptation of Gloomhaven, which we’ve covered before here, will launch in Early Access in Q1 2019. It’s co-designed by Cephalofair Games, the original designer of Gloomhaven. We saw a lot of excitement for original games after we announced Mansions of Madness: Mother’s Embrace in April. 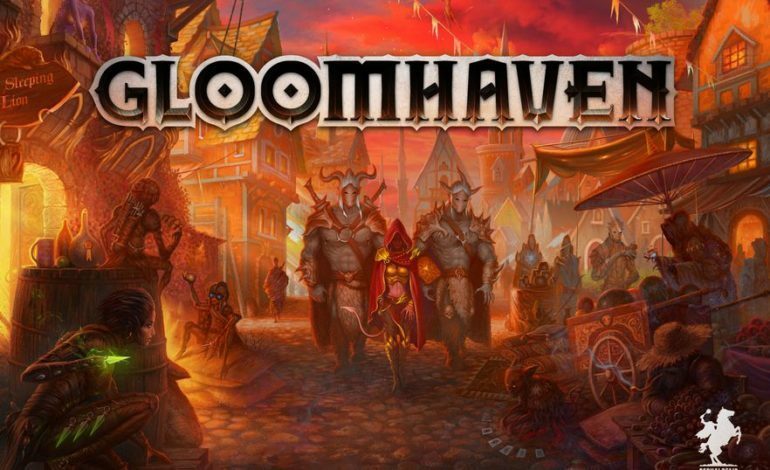 Gloomhaven continues our commitment of expanding our catalog with more original video game experiences based on board game IPs and not just direct 1:1 adaptations of existing board games. Gloomhaven is slated to release sometime in Q1 of 2019.